Welcome to our 17th episode in our somewhat new podcast series where we teach you everything we know about how to invest in tax-delinquent real estate. We’ve done nearly 3,500 deals – in land and houses – with little competition and big profits. And we want to share what we know with you. In today’s episode, we’re talking about creating three different milestones that will allow you to retire in safety, in comfort, and in luxury for the rest of your life. After all, there is a big difference between making money and building wealth. We’ll cover our process in which you’ll learn how to build financial wealth – truly generational wealth. Take notes! Jack: Husband and wife team, and welcoming you to the episode number 17 of the Forever Cash Real Estate Investing Podcast. Michelle: Yes! And today, I actually have something, a topic that I’m very passionate about, and it goes along the lines of tax delinquent real estate investing of course. But, tax delinquent real estate investing is really part of a broader topic or theme. And so, this is what I want this podcast to be about, and I know Jack has a few announcements. Jack: Yes. Before we get started, I have a couple of announcements as always. Well first of all, Michelle mentioned the word tax delinquent real estate investing. If you have been a diligent follower of our podcast, you by now know what that means. Since the subject of today, which is building three different plans or three different milestones really to allow you to retire in safety, in comfort, and in luxury for the rest of your life. They’re really are applicable to anything you do in your life. I want to quickly spend just one minute to explain what tax delinquent real estate investing even means, because I think we are going to have a lot of new people listening to this podcast as it kind of bridges from real estate and tax delinquent real estate into wealth building. And, wealth building is a generic, all-encompassing subject that works no matter what technique you use. So, tax delinquent real estate is basically dealing with people or properties where the owners have not paid their property taxes. You’ve probably heard about tax liens and tax deeds. I probably need more coffee here. But, this is like the basic information that quite a few people out there teach, and there isn’t really that much you can teach about it because it’s really, really simple. People don’t pay their property taxes and if they don’t pay, the government ultimately takes their property away in one of two ways, either by issuing a lien against it that investors can buy and collect the high interest rate, and then eventually foreclose on, or by taking the property and putting it up on the auction block and letting the highest bidder buy that property. So, that’s really the tax delinquent real estate world as most people know it. What we have done, what Michelle and I have done is we have basically circumvented this entire world, have gone basically asking ourselves, “How can we avoid the competitive environment of these auctions? How can we avoid the high prices of these auctions? How can we avoid having to deal with long waiting times until you can foreclose on a property, until you can attend an auction and buy such a property? And instead, how can we get those deals or similar deals before they come up for auction for pennies on the dollar?” And, what we’ve come up with are our strategies that are encompassed in multiple of our programs and that we talk about in this podcast. So, I encourage you to listen to the first five podcasts that we have put out there which basically explain our main methods and main techniques that we do. Michelle: Yeah, I was going to say that for our new listeners, we do have a gift and where do they get access to it? Jack: They get access to that gift at www.ForeverCashFreedom.com and that gift is actually a course, a free course that I put together that explains those five major techniques in a tax delinquent real estate world. However, tax delinquent real estate, non-tax delinquent real estate, wherever you make money, at the end of the day, there’s a big difference between making money and building wealth. And, there’s a big difference between making money, and building financial security, and building income that lasts forever. So Michelle, you want to talk a little bit on that. Michelle: Yeah. So basically, when you decide to start in real estate, you probably are looking to start because you are looking to make more money. You are looking to create what we call one-time cash, probably some temporary cash and the ultimate which is “Forever Cash.” And so, we can use the exact same tax delinquent real estate source to basically go after all those three types of cash and that is absolutely phenomenal. You have economies of effort because after… If you use one technique and you go after that one technique, you can basically accomplish all three goals. Now, these three goals, let’s put them in context of an overarching strategy. And, in order to do that, basically… And, I commend you for listening to this podcast right now because it’s the beginning of the summer and everyone is taking a break right now. And you, instead of taking a break and standing still like everyone else, are basically listening to us and strategizing on how to basically build financial wealth, truly generational wealth. And so, this is what this is all about what I’m trying to explain. And so, let’s get right to it and what we would like to talk about is what we called the three plans to get you to “Forever Cash” freedom. And so, the three plans to get you to “Forever Cash” freedom or financial freedom and independence require that you basically right now, while everyone is standing, still look at the next six months of the year that we are still at quarter two, and quarter three and four that are about to start and think about what actions, what strategies you need to implement in order to move the needle the most. And so, that is great. That’s a great exercise. But, even better than that is for you to also start thinking about that in the context of really a longer time horizon. It’s basically extending your time horizon past the next 90 and six months of this year. Jack: Even pass the next five or ten years. Michelle: Yeah. They’re about legacy. Jack: …What you want to accomplish on this lifetime, what you want to do for your family not this month, not next month, but over the next ten years, over the next 15 years, over the next three, five years and so on. Michelle: And so, the three plans that we would like to describe to you that have been extremely helpful for Jack and myself when we first started in our journey towards financial independence are what we call the security, the comfort and the luxury plan. So, over the last almost 14, 15 years for us now, those three have been really nothing more than milestones that we’ve set for ourselves and that we basically decided, “Okay, based on the milestone of my security plan and this security plan involving the following things, these are the actions that we need to take over the next five years that would move the needle most. And so, I’ll let Jack explain a little bit more about what the security plan is, what the comfort plan is and what the luxury plan is. Michelle: There weren’t podcasts back then. Jack: There weren’t podcasts. Well, probably no. There weren’t podcasts because there weren’t iPods. Michelle: It was actually seminars. Jack: Yes, they’re seminars, correct! Jack: So, we did what you’re doing right now. It’s just in the low-tech world back then. And, we basically took a piece from here, a piece from there and built out of that our own wealth philosophy which we, by the way, have written about in our book “Forever Cash” which you can get at Amazon or you can also go to ForeverCashBook.net. Again, ForeverCashBook.net and get a copy. Just for shipping and handling, basically $6.95, you can get a copy of it. If you buy them on Amazon, you have to pay $16.75 or around $16, $17 for the book. You can also go to your Barnes & Noble and get it there. If they don’t have it, you can just ask them to order it. But, the bottom line, the book is available everywhere. And, the book lays out our wealth strategy and our wealth philosophy. One of the pieces that is actually not mentioned in the book yet because the book otherwise would have gotten too big, which might be in the next book, is exactly what we are talking about right now: the security, comfort, and luxury plans. And, the security, comfort and luxury plans mean the following. Basically, we sat down and we said or we asked ourselves, “What do we really want out of life other than of course a happy marriage and healthy children and being able to travel around the world and things like that?” But, financially, what do we want out of life financially? So, we basically said, “Well, we want to be able to do whatever we want whenever we want with whoever we want and basically have money not be an issue. Well, for many people, that is such a faraway goal that it becomes hard to be motivated by that goal. Jack: So, as a result, we basically came across this concept of security, comfort and luxury plan and it really clicked for us ever since we have applied it so we want to share it with you today too. And basically, it means breaking your goals into three different milestones as Michelle said. And, milestone number one is the security goal, which basically means asking yourself the question of, “How much money do you need on a monthly basis to be able to be safe and secure?” Now, when I mean safe and secure, it means to have your rental mortgage paid, to have your car payment paid, or to be able to…. Jack: Your insurance is paid, you have clothes on your back and your family’s back, and you have food on the table plus I know a little bit that I’m putting to the side for later on. That’s the minimum. Now, if you look at that goal, it sounds much more reasonable, sounds much more doable to accomplish something financially that allows you to do that. That’s not what we are talking about. We are talking about if you were to retire today. I know of you who are 25 listening to this that, I mean, today are like 25 or 26. If you are 54, then I mean when you are 55 perhaps today in a matter of a year. So, how much money would you need per month today to live approximately to that level or the safe and secure level of what I’ve just described for the rest of your life? Jack: Right, right, right. Or going camping? Michelle: …Or, going camping. It really means the minimum. What is the minimum that you require on a monthly cash flow? Jack: On a monthly cash flow. And, the monthly cash flow is the key, not the pile of money when you say like, “Oh, I need $500,000 in order to do that.” No, how much per month do you do that? So, let’s say you have $1,000 mortgage on a house. You live in a small decent normal sized house of let’s say of a $1,200 mortgage. You have $400 in car payments, have $400 in insurances and other things, and need another $1,000 for other stuff like clothing and medical things and so on and so forth. So, that means you need $3,000. Let’s just say as an example $3,000. So therefore, $3,000 is the number for your security plan. So, your number one goal now is to invest in a way that you build up $3,000 per month in income that you don’t have to actively work for. Once you have accomplished that, you are safe and secure for the rest of your life. Now, how does that feel? If you think about how that feels, how does it feel if I ask you how much money you need to be like in your dreams? What are your goals? And, you tell me like I need $10,000,000. And, how does that feel for your chances to make $10,000,000? You got to give up right away before even having started. But, how does it feel if I tell you, “You need to work on making… On building up passive income.” And, I don’t really like the word passive because it’s not entirely passive. There’s always a little bit of work involved even managing the managers so it’s managing whatever your income comes from. But, what if I tell you $3,000 is what you need to create? That’s a much more handable number. Jack: That’s a number that you can see. It’s a number that you can feel, a number that you can imagine, and a number that you can say like, “Yeah I can get to that.” If I can, let’s say, be in six months of real estate, I can buy a rental property with $500 of positive cash flow one year and if I do that six times over, I met the goal. Jack: I need six rental properties with $500 a month positive cash flow and you are there.” Exactly, that’s the point for that. Michelle: And as you go and chip away at this goal of $3,000 a month from “Forever Cash” investments, you will basically be able to not only generate using tax delinquent real estate, the cash, the one-time cash, to go ahead and invest in these “Forever Cash” assets, but you will also start creating excess cash which in the case of you having debt is usually probably the money that you want a percentage of it used towards paying off debt as well as you are going. Michelle: Because if you go, when we talk about really “Forever Cash” freedom, it really means that. It doesn’t mean just that you have created the passive cash flow to also cover the credit card debt or whatever you have, but that you are actually completely retiring that debt or getting rid of it. Jack: …Or an extra $10,000 check by doing a “Flip It Fast Formula” deal or a land flip that you make an extra $8,000 or so, you apply that to either be able to buy more of these “Forever Cash” investments that bring you cash flow, or you apply a portion to pay down your debt, which I know for some it means that your security plans offers might not be $3,000 anymore, but over time, it might actually be lower. Jack: Because if you have a house that you have paid off that you could live in yourself, that is a nice house, and you have no credit card debt, all of a sudden you don’t have a $1,200 mortgage anymore. If your cars are paid off, you don’t have $400 car payment anymore. Now, all that you have are property taxes of let’s say $200 a month, maybe because you have let’s say $2,400 a year in property taxes. You have car insurance. You have the other things. And literally, you can live the same way that you lived on $3,000 or $4,000 that you can now live on $2,000. But, at the same time, this is not the goal. This is only a milestone. Jack: For your health also, or in your health so that it really requires you to stop at age 45 and not ever do a deal anymore, or not ever do anything workwise in your life anymore. You have the things in place for your security plan. And, at that level, if it’s more than that security plan money, perhaps even your comfort plan. So, what is the comfort plan? Well, it’s the same thing, just on a higher level. Jack: The comfort plan is now a little bit bigger house. Perhaps a nice house, not a starter home. But, perhaps like a two-story… I don’t know, 2,500 or 3,000 square foot house in a nice neighborhood. With the starter home that’s worth $150,000, this home is worth perhaps $300,000 or $400,000 depending on the market, of course. Michelle: And ideally, it’s a home that you have also purchased or found using tax deliquescent real estate. Jack: Absolutely! Ideally, it’s a house where you used the same techniques. Jack: The house we live in right now we found using those same techniques and using the exact same methods that we teach. And, we got that house at the rock bottom price because of that. As a matter of fact, it’s paid off right now, but anyway, that’s a different story but for the same reason though. So, the house is a nicer house, and then you have perhaps two cars which are nicer cars. Perhaps, one of them already is the BMW, and one of them is still the Toyota. Jack: …And, driving the Ferrari stuff. That’s not it! That’s the luxury plan. But, for the comfort plan is just what I just said: a good house in a upper scale decent neighborhood, good schools, good cars, enough being able to eat out, a couple of vacations and so on and so forth. So, add it up for yourself how much that costs. So, let’s say you do have a mortgage on that house, and let’s say that mortgage is because you’re paroled already, or because we have some equity, or because you bought it using the tax delinquent real estate investing methods. You have perhaps only a $2,000 on mortgage on that. Then, you perhaps do have some car payments and it’s another $1,000. Then, you have perhaps even private schools for that matter. If it’s included already, you’re splurging on that so that’s another… I don’t know, $1,500 so that’s $4,500. Plus the other stuff, you need perhaps $6,000 a month to live that kind of lifestyle. Now, that’s not after taxes, so that’s an approximate $100,000 a year. So, basically you need to… Or, net if you do real estate, or if you have rental real estate, it’s usually taxes. You have tax benefits from it anyway, so let’s just leave it at $6,000. Jack: …Because you might decide to live modestly in a small apartment or you might already. If you are already living in a $2 million house, you might realize that if push comes to shove and you would have to sell that house, you can now fall back and live in a nice house, in a nice neighborhood with two nice cars, and the kids going to private school, and having a couple of vacations a year, and still maintain that lifestyle for the rest of your life. But again, if I ask you, “How much do you need to live that lifestyle?” you probably going to say $5 million. Michelle: And, it’s basically… As you move through these plans, you are getting not just clarity but you are getting also the confidence, and you are also getting the capability on how to put it on because you invest in yourself and you become a more sophisticated investor in more sophisticated type of deals. And, that could lead larger amounts of passive cash flow per month. And so, it’s all a process. Michelle: You’re sailing to the sunset. Jack: Exactly! And, you sail off into the sunset. Jack: However, if you want more out of life, if you want more financial things, if you want more toys out of life and you want to accomplish an even higher lifestyle, then nothing stops you from continuing. Michelle: Either lifestyle or like I said earlier, legacy in terms of helping your favorite charities and really being able to make a difference in people’s lives, and it makes absolutely no dent in your bank account. So, the luxury can expand into that area as well. It doesn’t necessarily have to be material stuff or toys. Jack: Absolutely! I just listened to another podcast from somebody else. They were interviewing Tony Robbins. And, Tony Robbins was saying there that this year in 2015, he is personally writing a check to fit 40 million people in the United States. So basically, Tony Robbins and Warren Buffet and those guys, they don’t even work for money anymore. They are in the lucky position that they only work for the legacy. They work for the fun of it, for the impact they are making in the world. And, the money is just the scoreboard and the money is a tool now to help the world around them. Jack: And, once you get beyond the comfort plan, you can become or you can start living in that world too. And, I’m telling you, we are obviously not at the level of Warren Buffet. There’s only person that’s above Warren Buffet net worth wise. Jack: But, we have started giving in ways that we never thought we could and it’s a wonderful, wonderful experience. Michelle: Yeah. And, I wanted to say too. All of these people that Jack just mentioned, including us to an extent, and you have to define what each of these plans are for you. And, at this point, I can truly say that we are really living the freedom of purpose. Like I said, I think, in a prior podcast, we all start wanting to have freedom of money, freedom of time, freedom of relationships, and freedom of purpose. And, when you get to the comfort and luxury plan, your mind is not consumed by the lack of money, or by the lack of having to cover your basic financial needs. And so, really, that means that your mind really has the capacity to entertain and start looking of, “Okay, how can I now start really living my freedom of purpose? Jack: That part is… That’s actually one of the most unexpected. Well, we kind of talked about it before, but the impact was absolutely incredible on us when we reached the level of having our… Even the security plan implemented. All of a sudden, the huge burden starts lifting from your shoulders, because all of a sudden, you literary don’t work for money anymore. You don’t work to make enough or to actually just get by. Your needs, your basic needs are taken care of for the rest of your life. And, I cannot tell you how wonderful that feels. I mean, it’s absolutely amazing. And then, once you reach the comfort level, I mean, it’s even better because now you have all your comfortable lifestyles or stuff being met. And, all of a sudden, you can take vacations and you know that the vacations are paid for by money that comes back in next month. So, no matter what or even if you blow a bunch of money on a vacation, not really excessive amounts, but if you have a nice vacation, it doesn’t cost you anything because next month, your investments bring in the same amount again so it’s a wonderful thing. And then, there’s lastly… I want to just quickly finish this up. Lastly, there’s the luxury plan. And, the luxury plan is really, there’s no ceiling to it. You define your own luxury plan. You define any of these levels. I mean, I’ve had… When we share this with people, some people have a security plan that is $8,000 a month, and some people have security plan that’s $800 a month. It really just depends on the individual needs. So, this is highly individual, highly personal and you choose what it is but the same applies for the luxury plan. And, the luxury plan then is… Let’s say it’s the beautiful house on top of the hill viewing or looking over the city. It’s worth a couple of million dollars. It’s a Ferrari. It’s the five star hotels and so on, and up from there that you can literary live the life of your dreams. But it also, perhaps in this case, includes a charity that you found, a charity that you… Not found, that you are the founder of or that you create, or a charity that you support, or really making an impact, a massive impact in other people’s lives, which just financially, you couldn’t do before. You couldn’t make significant individual impacts. But, you couldn’t do massive large scale impact before. That’s all part of the luxury plan. But, the part and to summarize this thing, I want to say that the key piece to this is, when you have put your financial life in order with passive income sources, “Forever” Cash income sources, or not just passive but everlasting income sources… And we, of course, like real estate. We like rental estate. We particularly like rental real estate, multi-family commercial real estate. Houses, yes. Two, you have to learn how to do this properly but even houses are… We now have… It took us a few years to learn how to deal with tenants. So, having tenants might not be the first thing you want to invest in rental properties but perhaps you can invest in a commercial property. We bought a car repair shop as we mentioned a few times, which is great. They lock the thing at 6:00 P.M. and they open it at 6:00 A.M. and in between, there’s nothing on there. There’s only one toilet in there, and other than that, it’s just a few walls. So, it’s great and they’re paying really well. So, there are so many different ways in real estate that you can skin that cat or that you can invest in, but the bottom line is once you have these in place, then every month, you have that question, you have that choice always of saying, “You know what? Whenever I’m ready, I can just retire. Whenever I’m ready, I don’t need to work for money anymore.” And, if you then have a job and the boss is being an idiot, guess what? You can just put your resignation on there because you don’t need that job anymore. If you have a business engagement with somebody that you don’t like, you can just basically say, “Sorry, I won’t accept it. I won’t take it. I don’t want to do business with you,” because you don’t need to do this anymore and because you don’t work for money anymore. You only work to continue your progress on the scale of security, comfort and luxury plan. And, it’s your choice how fast you progress in. Michelle: So, if you go to Facebook, “Forever Cash Life,” you can ask any questions or any comments. Please post them. We’ll probably read them in future podcasts and we would love to engage and interact with you all. Jack: Absolutely! So again, that is www.Facebook.com/ForeverCashLife. You find us that way. You see my picture on there, and soon also Michelle’s picture. We’re updating this right now. Because really, the force behind this, putting this all together has been a husband and wife effort together. So, even if you’re doing this alone or with a husband and wife team together, it doesn’t really matter. What matters is that you know what you’re going for, that you have those goals. These goals have been tremendously helpful for us. And, as I said, when we discovered them, we were already past our security plan in terms of income but not in terms of passive “Forever Cash” income. So, what we did is we realized, “Man, we’re living in this house already. But, what if something goes wrong?” If something goes wrong, we would lose everything. So, in that moment, when we understood that, we started putting in the “Forever Cash” assets, the passive cash flow that number one, within less than a year, we put that in place such that our security plan was covered. Jack: …The luxury plan which is really a never-ending kind of thing because our luxury plan items, I’d say, always change. They don’t necessarily become bigger but they become different. Personal… For example, contributions to charitable causes start becoming a much bigger role than they have played in the past and so on. So, really, these plans have given us so much guidance, and once they were put in place, have even allowed us to sleep so much better because you know particularly as an entrepreneur, you’re fighting on a daily basis. You have an up month. You have a down month. You do different things. You might have a bunch of deals one month and not so many in the next month. You’re always looking to that bottom line. But, you know what? Now, that our financial needs are covered on the security, comfort, and to a large degree, on the luxury level, we don’t really need to worry about that anymore, and neither will you when you go down that path. Michelle: …Our techniques and strategies, actionable strategies that you can basically go out there and implement. And really so, if you’re ready to come to something, to an event where you walk out truly transformed and evolved to make a difference in the life of the people that you care, join us! Michelle: Give us feedback. Rate us. Tell us if you like us. Give us a star if you don’t like us. Give us five stars if you love us, and just give us feedback. We love to see, to hear, to read, and to engage with you in our Facebook Forever Cash page as well. And, like I said, if you have any questions, please post them there. We would love to answer them in ongoing future podcasts. Jack: Absolutely. All right. So, with that, again, Michelle mentioned Phoenix being hot in summer. Yes, it’s hot. But, with that, comes super low hotel rates and super low flight rates because most people don’t want to come to Phoenix in August and they are flying out of Phoenix because it’s like 105 degrees or so 110 degrees. But, the hotels all have air condition. They all have pools. Bring the family with you. Let the family be jumping in the pool all day long while you are learning the exact tools that allowed us to become financially independent in a matter of 18 months. And again, these techniques in a tax delinquent real estate world can do the exact same thing for you. So, with that, we say thank you very much. Again, your free gift for this call, there’s a bunch of links in here. We actually have meeting notes. Also, this is the last link I’m going to give you right now and it’s a very important link. All the links that we mentioned right now, all the different resources and even a transcript of the podcast is available at www.ForeverCash.com/Podcast. All right? 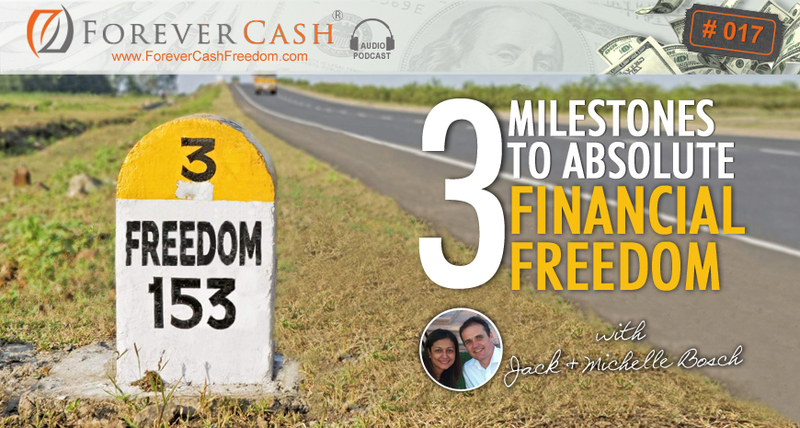 www.ForeverCash.com/Podcast. You can go there and listen to the podcast. Again, download the podcast and see all the meeting notes including a PDF transcript of our podcast right now as well as all the links that we just mentioned. All right. Thank you very much.